It’s #PreSonusFAMFriday with Phil Knock! I’ve worked for PreSonus for nearly a year. My first introduction to audio engineering was using a FireStudio interface. We had a recording studio at my high school and I swear I practically lived there. So I’ve been a PreSonus fan since I was a tot basically! I went to Belmont University in Nashville, TN and graduated with a double major in Audio Engineering and Computer Science in the Spring of 2016. 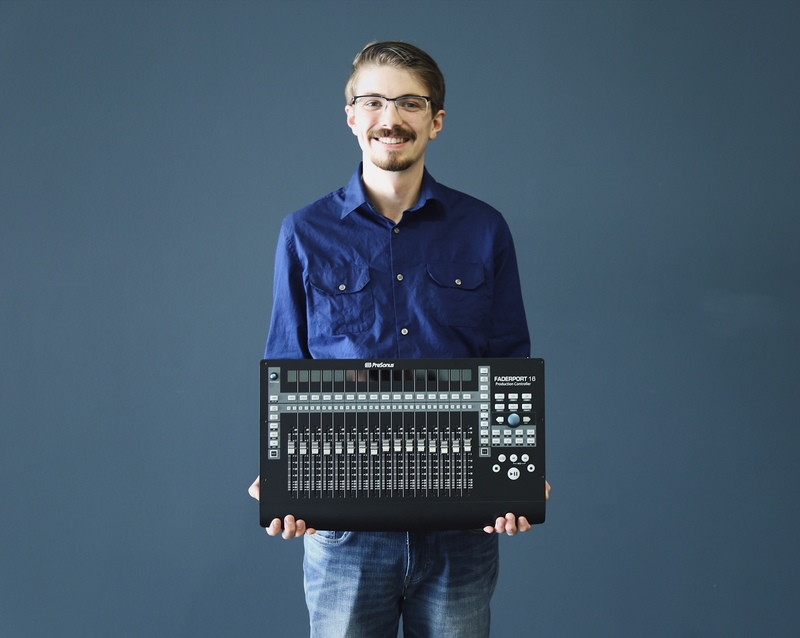 I chose to work at PreSonus because it offers a perfect balance of these two pursuits. My favorite thing about this job is to be able to work on intellectually stimulating computer science problems, while at the same time being able to talk shop with the incredibly talented musicians and audio engineers around the office. Our company motto is “Music is our life. PreSonus is our day job,” but I believe these two are truly intertwined working here. PreSonus gave me a chance when I was a recent grad and I didn’t know what my life was going to be like. For that I am immensely grateful. Do you guys remember Hit Clips? My first music purchase was an “All Star” by Smash Mouth Hit Clip. Lately I’ve been listening to a lot of Father John Misty, but I’d be remiss if I didn’t mention Led Zeppelin. “Don’t Let Me Down,” The Beatles. I find the field of Digital Signal Processing utterly fascinating. To that end, I’ve had a ton of fun tinkering with audio plugins using the JUCE framework, Kontakt, and MaxForLive. I played cello in the Colorado Springs Youth Symphony when I was younger, and since then I’ve dabbled in guitar, bass, and drums. 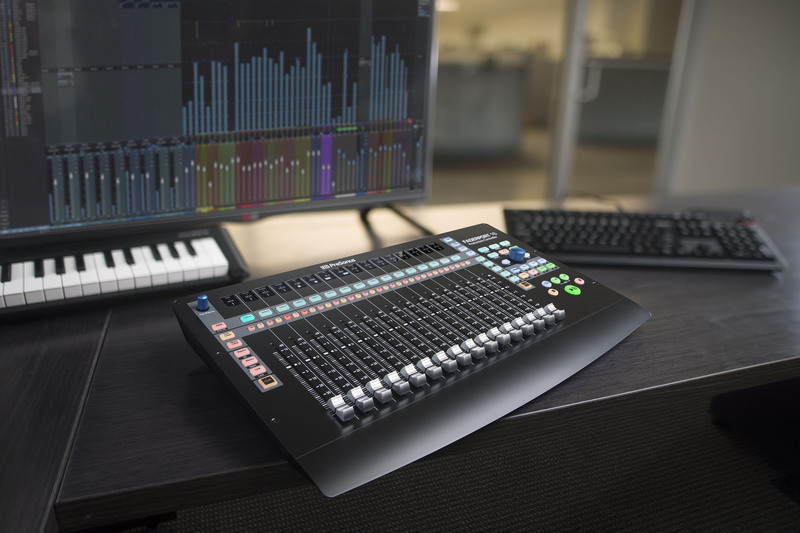 What do you love about the FaderPort 16? Who wants to mix large sessions with a mouse? Mixing is one thing, but writing fader automation with a mouse is a fate worse than death. Being able to navigate and interact with large sessions in Studio One or any other major DAW makes this product incredibly useful. Got any tips for working with the FaderPort 16? This might sound crazy, but it can sometimes be helpful to balance levels without looking at the computer screen. Even turn your screen off if you have to; at least temporarily. I find that it helps you focus more closely on what you’re actually hearing rather than what you’re expecting to hear looking at waveforms and user interfaces. I work on the Studio Live Series III console/rack mixers extensively, and I’m really excited about upcoming updates for these products! I have webbed toes, does that count? Working at PreSonus is really incredible. The products you get to work on and the people you get to work with offer inspiration on a daily basis. What’s your social media handles and is it ok to tag you? For any aspiring engineers out there, you can feel free to add me on LinkedIn! Posted in Band Member, FamFriday | Comments Off on It’s #PreSonusFAMFriday with Phil Knock!